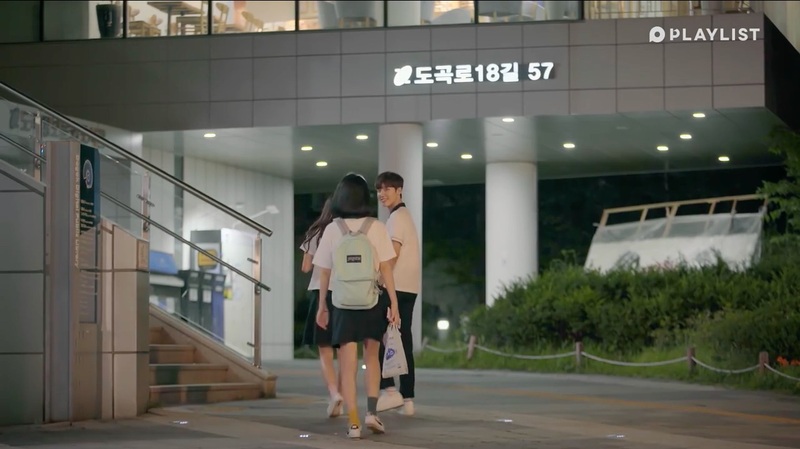 This library is where Do Ha-na (Shin Ye-eun) comes to study with Ha Min (Kim Dong-hee) in episode 4 of web drama A-Teen/Eighteen (에이틴) (Playlist Studio, 2018), at his request. 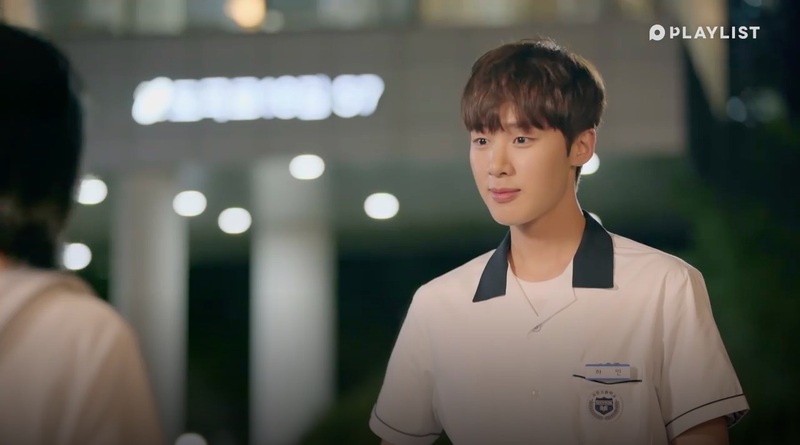 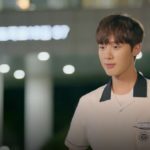 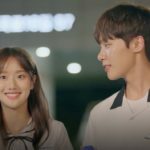 They stand outside to chat for a while, and are joined by Kim Ha-na (Na-eun of APRIL), whom Ha Min had also asked to study with. 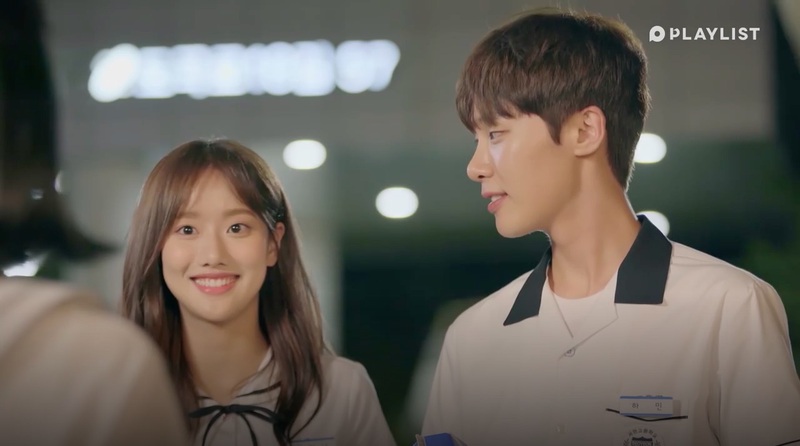 This caught Do Ha-na by surprise as she has a crush on Ha Min. 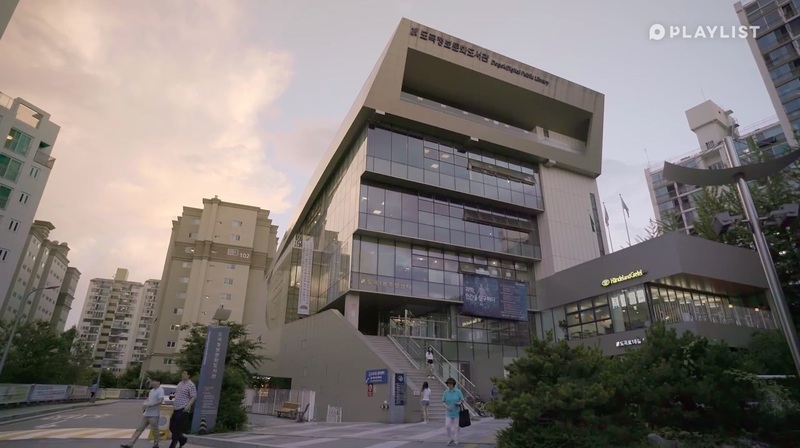 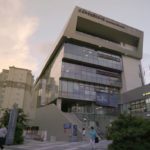 Dogok Digital Public Library [도곡정보문화도서관] — which opened in 2013 — is located in Seoul’s neighborhood of Dogok-dong [도곡동] in the Gangnam District [Gangnam-gu/강남구].